Lock in a great price for Room Mate Lord Balfour - rated 8.5 by recent guests. The staff was incredibly friendly and helpful! Location is amazing - across from the beach with a dedicated area for hotel guests with complimentary chairs, umbrellas and towels. Lovely staff, perfect location, great value for money and nice modern and clean room. Would be more than happy to stay here again. Very good presentation but my food was cold. Even the toast. Everything was very good! It is our second stay at this hotel. Free sun beds, umbrellas and towels. Excellent location, near everything but quiet at night. Spotlessly clean and very modern, comfortable bed and wonderful shower. Room appears slightly utilitarian at first but actually has everything you need. The lobby, bar and restaurant are very attractively set out and staff are keen and attentive. Property was very easy to get around. But need the manager to pick up the cleaning side. And for the staff to listen the needs you need. Perfect location, close to everything! Would 100% stay here again. Location. 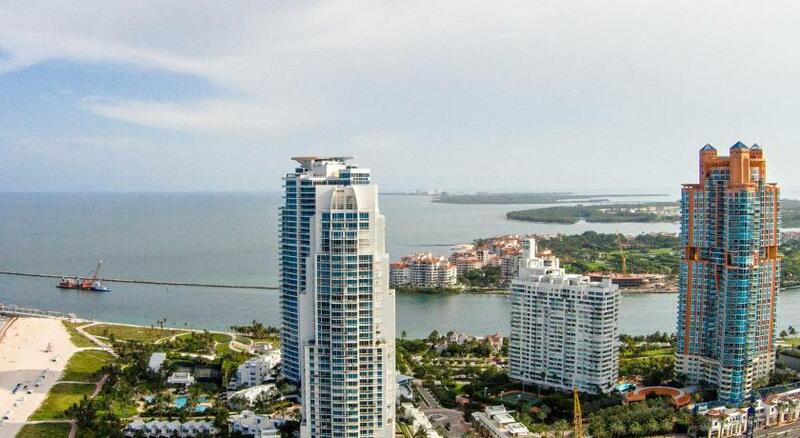 Within easy reach of South Beach and a block from the beach and boardwalk. The Miami Beach Lord Balfour is located on Ocean Drive, home to many shopping, dining, and entertainment options. The hotel is a 2 minutes' walk from the beach. A fitness centre and lobby bar are offered to guests. The Miami Beach Architectural District is 1 miles away. The Lord Balfour hotel provides a stocked minibar in each of their modern rooms. A 40-inch flat-screen TV, free WiFi, and iPod docking station are also included. Guests will find concierge services and valet parking in this design hotel. A private garden is also on site. The Wolfsonian Museum and the Murano Grande at Portofino are located less than 5 minutes’ drive from the hotel. Room Mate Lord Balfour has been welcoming Booking.com guests since 3 May 2010. When would you like to stay at Room Mate Lord Balfour? This room features a 40-inch flat-screen TV, iPod docking station, and a minibar. This room features hardwood/parquet flooring as well as a 40-inch flat-screen TV, iPod docking station, and a minibar. This deluxe guestroom includes a 40-inch flat-screen TV, a minibar and a private shower with a rain shower head. Boasting a terrace with a hot tub, this junior suite also provides a separate living room area and a dining table. Additional amenities include a 40-inch flat-screen TV, a mini bar and a private shower with a rain shower head. The designer Hotel Room Mate Lord Balfour, in Miami, featuring South Beach-style aesthetics, will seduce the most sophisticated travelers. Enjoy a combination of contemporary furnishings with witty and winsome design details. The rooms are decorated with portraits of tattooed beauties as a backdrop to the headboards. Only 5 minutes’ walk from Lummus Park Beach, the hotel has a privileged setting just 1.6 km from the architectural district of Miami Beach. The designer hotel in Miami Room Mate Lord Balfour has 64 rooms with everything you need: Buffet Breakfast until 12 noon Free WiFi Full set of bathroom amenities Offers and best rate guarantee Fitness area A radiantly tattooed woman peered slyly from the wall of room . One entire wall was taken up by a photographic image of her face — wild black hair, electric blue eye shadow. The kaleidoscopic palette was enhanced by a sunflower yellow headboard and bright orange ice bucket. Silvery tree-stump end tables, a handmade calfskin chair, a wood-plank desk and bamboo flooring added warmth. House rules Room Mate Lord Balfour takes special requests - add in the next step! Room Mate Lord Balfour accepts these cards and reserves the right to temporarily hold an amount prior to arrival. Please note that bookings for more than 5 rooms are considered as group bookings. Alternate policies and additional supplements may apply. Breakfast can be added for a fee, plus tax. Please note that deliveries are accepted 1 week prior to guest's arrival. The hotel will return packages that arrive earlier or after guest's departure. The first 3 packages are handled free of charge. The room was pretty dirty, stains everywhere, finger prints on the shower glass and mirrors, and the bathroom floor looked like the dirt had just been pushed into one of the corners. The room we had was very loud, but maybe that’s to be expected in Miami Beach... If you decide to valet, make sure you calculate at least 30-45 min into your plans for them to retrieve your car (they tell you it’s 15 min, but that’s 15 min per car, so if your car is the second or third requested your wait will multiply - luckily we weren’t in a hurry, but if you have a flight to catch, this could be important). The only moment we didn’t like is wi-fi speed, veeeeeryyyy slow, almost like like it was in 90’s ... Gym could have been bigger and 24h working time would be very convenient. I didn't like the problems I had with the payment for my booking coming out of my account prior to the week before the stay That was very unsettling. In the end it was rectified to my satisfaction. I liked the location best of all. Convenient location on Miami Beach. Easy to find. Staff were friendly enough. We were able to have late checkout. Small bathroom, no windows & too hot. The bed was very clean but the doors and walls had many spills and marks. Was a bad odor in bathroom in evening before we went to bed- almost like a sewer smell. The toilet has been crammed into a very tight space between the wall and an unnecessarily large marble sink surround and then the toilet roll holder is uncomfortably placed under the marble surround in the same space, meaning you need to be a contortionist! Room above was loud. people walking across the room...moved rooms and it was the same in the new room too. Friendly staff. Food was good. Good location. The hotel charged approx 100 dollars extra at arrival without notice from our card. When we asked they told us that they always do like that in case we should damage something. They have told us that the money will be returned but sofar we have not recieved them, but i guess we will get them sooner or later. Even though we will certainly never go back again. I prefer nice memories of my journeys. It took us a while to find our way to our room, it would have been helpful for someone to show us.